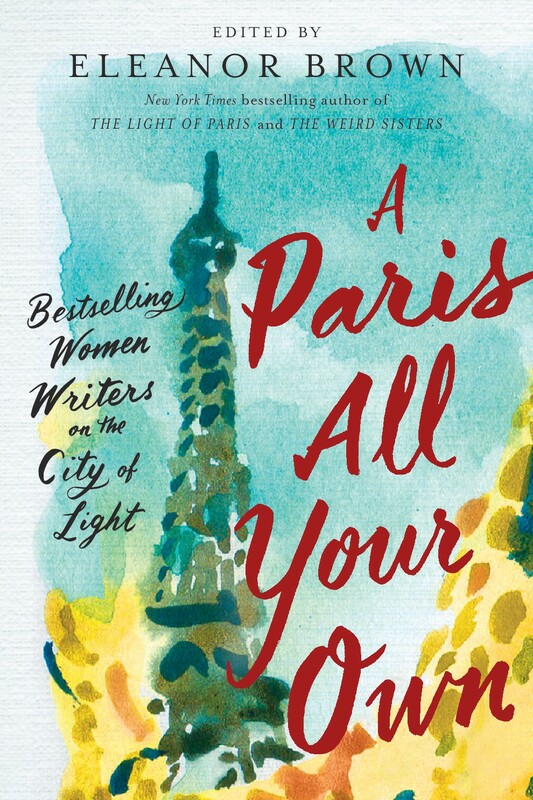 “My time in Paris,” says New York Times–bestselling author Paula McLain (The Paris Wife), “was like no one else’s ever.” For each of the sixteen bestselling authors in this warm, inspiring, and charming collection of personal essays on the City of Light, nothing could be more true. Featuring “French for Intrepid,” an essay by Megan Crane. All I wanted in my twenties was to be intrepid and free. I also wanted a grand and glorious life marked by intellectual richness, a deep and abiding love that was worthy of song and poetry, and perhaps a little dizzying melodrama while I was at it, a satisfying (and objectively awesome) career that was far more than a mere job, a whole lot of money to make sure I could do all the rest, and above all the knowledge unto my very bones that I was doing far more than existing—I was living! Moreover, I really wanted to accomplish all these things with the intrepid spirit I was certain I had. Or so I wrote—extensively—in my journals, all of which I ostentatiously carried around with me lest anyone glance at me and fail to realize I was made of deep thoughts. In truth, I had precious little intrepid spirit. What I had instead was a less than stellar attitude toward the uninspiring entry-level jobs for which I was as unqualified as I was uninterested, and a certain ill-disguised low-level fury that I was stuck in some cubicle rather than off in the world performing marvelous feats of intellectual and physical daring. Ah, the fruitless outrage of youth. I knew what I wanted. The moveable feast. 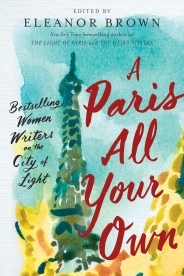 The Paris I’d read about and loved so hard and so deeply in college. Artists and intellectuals cobbled together into sidewalk cafés, living as much on grand ideas as baguettes and strong cigarettes. The Paris of wine and expatriates, Hemingway and Fitzgerald and Stein, uncompromising vision and talk of revolution—or maybe that was Les Misérables—and love affairs and fine paintings. After taking off from this or that city enough times that I should really have bought my own U-Haul to defray the inevitable moving expenses, it was undeniable that I was less the badass rolling stone I imagined myself, unable to suffer a hint of moss as I moved ever closer to my life of mystery and wonder, and more someone who simply ran away when things got predictable. The trouble with running away, it would not occur to me for years, was that no matter what place or which people I left behind in a cloud of dust when I decided it was time to go, I took me right along with my boxes upon boxes of (very heavy) books. And I really didn’t like thinking of myself as someone who ran away from things rather than facing the harder work of actually belonging somewhere, despite the fact that I did it again and again. Right about the time I’d figured out my favorite route to whatever dead-end job I was working, a place to get my shoes repaired, and the best pizza delivery, I was already looking for a new place to live, a new city to explore, new people to meet. New, new, new, so I couldn’t waste any time getting sick of the same old me. I can’t remember why I decided the cure for running away wasn’t to settle down somewhere, but to travel. I was in graduate school by this point, and at some point during the brutal slog toward my dissertation I decided that the only way to survive was to become a seasoned traveler. Once I settled on this, I became obsessed with it. Moving all over the place for no particular reason suggested things about a person’s psychology, I’d found. The truth is, most people stay pretty rooted. Moving all over the place on a whim instead of, say, for a job or a partner tended to unnerve people. Travel, by contrast, was universally held to be a good thing. It was broadening! Educational! It would leave me richer no matter the money I spent on it! Everybody said so. I bought novelty postcards of foreign cities and taped them into my journals, where I would then wax rhapsodic about all the places I would go. I had very specific ideas about what travel meant. It meant strolls through gray and giddy London, sophisticated and more than a little posh. It meant little black dresses in sidewalk cafés. Art in graceful museums famous enough to be known the world over and long drives in the Tuscan countryside with a fetching scarf tied just so around my hair—which in my fantasies was always a cunning shade of Titian rather than my natural dull brown. Travel meant staying in a nice hotel room and eating in fine restaurants. It meant an easy roller bag, not, say, a backpack that required lugging while drenched in sweat. It was reading an interesting book in a busy café while dressed like Audrey Hepburn. It meant Paris in the springtime, just like the song . . .
Sign me up for travel, please.